In 2011, England's Health Protection Agency officially described overheating as a public health issue. (i) Since then, a number of reports and studies have emerged making it clear the problem is not uncommon. Some instances have been severe, making news headlines, and some have had serious consequences for building developers as well as the occupants, with protracted legal disputes reported. And even for dwellings that don’t currently overheat, there is a real danger that they will do so in future. By the 2040s, summers as hot as 2003 — when over 2,000 excess heat-related deaths occurred in the UK — are expected to be very common, with one potentially every other year. Rob McLeod of the BRE calculated that in 30 years' time, in warmer summers most low energy dwellings as currently designed will frequently experience temperatures above 28C. There is no statutory definition of overheating in the UK or Ireland at present, however, three possible definitions are listed in the table below. Overheating is an energy issue as well. Reportedly around 3% of the housing stock in England has airconditioning (iv), and the danger is that this will become the norm if overheating isn’t better prevented. Media reports and indeed some in the industry point the finger of blame squarely at low energy building – specifically insulation, and sometimes airtightness too. Professor Li Shao, of Reading University was quoted in the Daily Mail (v) recently as saying: “If you wear a thick coat in winter that makes a lot of sense. But if you wear the same thick coat in summer you will overheat. It is very, very obvious...If you super-insulate houses, then you’ll create overheating issues where people will suffer.” Lightweight construction is also blamed. However according to housing associations and local government officials, as quoted in a 2014 Good Homes Alliance report on overheating (vi), dwellings of all ages and conditions suffer from overheating — it's not just low energy buildings. A bedroom with an uninsulated roof or west-facing wall may become very hot by the end of the day, and the fabric may go on radiating heat all night. By contrast a low energy dwelling will gain little or no heat through the roof and walls, but if solar and internal gains are not controlled, and/or ventilation is inadequate, the dwelling is also at risk of overheating. It is overheating in low energy dwellings that has been receiving the attention, most recently via a study and series of reports by a working group at the Zero Carbon Hub in the UK. An overheating check, called Appendix P, has also been introduced into the UK’s SAP methodology. The assessment is not compulsory, but the checks are nonetheless commonly undertaken during the design of new homes, sometimes at the instigation of the client. With a similar Part L, and an overheating check in DEAP (Ireland's equivalent to SAP) that is much the same as in SAP (it’s no coincidence that it’s also called Appendix P), the situation in Ireland is basically the same, according to Corkbased passive house architect John Morehead. “Part L does not really address overheating – it is much more geared in relation to losses. And Appendix P is optional, and it does not really do anything,” he says. However, even if Appendix P was an accurate tool for predicting overheating, DEAP and SAP are not design tools, they are compliance tools. By the time someone starts entering the data, they are likely to be under a lot of pressure to fit the predictions around the existing design. Perhaps the solution lies in the architect’s own hands – to establish whether or not there is an overheating problem earlier in the process, while there is still time to do something about it. This is why the Passivhaus Trust, and all good passive house certifiers, recommend that building design is modelled in PHPP at the earliest possible stage (viii). The Trust’s Rules of Thumb document also reminds designers that while PHPP is a good tool, it still depends on the common sense of the designer to enter realistic assumptions, using common sense and good judgement. In Appendix P, an effective air change rate for natural ventilation via windows is set by a lookup table depending on the degree of window opening (as entered by the assessor) and the type of dwelling. In PHPP the calculation is more nuanced, with actual window sizes and positions included, and allowances made for different ventilation patterns by day and by night. But nevertheless, as passive house certifier Warm says in a blog post on its website, “it is easy to apparently solve any overheating problem by assuming a high enough ventilation rate”. (ix) There is simply no substitute for common sense and local knowledge. As the Zero Carbon Hub points out: “Occupants are sometimes either unable or unwilling to open windows, and leave them open for sufficient time... for a variety of reasons. These include concerns about security, pollution and noise, especially at night.” And an urban heat island (and this can be a very local effect) may drastically reduce the amount of cooling available. It is important to be realistic with mechanical ventilation too: passive house consultant Alan Clarke warns that even on summer bypass mode, MVHR will still recover around 25% of heat, so for an accurate figure in the overheating calculation in PHPP, the air change rate should be reduced by one quarter. But a highly insulated and airtight building with heat recovery ventilation may have an additional advantage in very hot weather. If the building is closed up and glazing is adequately shaded, it can stay cooler during the day than its conventional equivalent. If the building has cooled during the night, turning the summer bypass off – in other words, restoring heat recovery – will recover the coolness and keep it in the building. Some MVHR units come with this built in as automatic, restoring heat recovery at a preset indoor temperature – for example, 22 or 23C – if it detects that the incoming air is hotter than this. However, this approach only works when the windows are closed. Internal gains have been implicated in overheating in small dwellings: homes in the UK tend to be quite a bit more densely occupied than those in continental Europe, leading to higher occupantrelated gains per square metre. PHPP now sets different internal gains for winter and summer, to stay on the safe side in each case. For summer it uses the actual gains set by electrical appliances, auxiliary energy and hot water losses for the actual number of occupants, and for the services as designed. There is sometimes concern that relatively light constructions such as timber frame are more vulnerable to overheating – and that this can be resolved by increasing the thermal mass. While not as lethal as the 2003 heatwave, which was estimated to have caused 70,000 deaths across Europe, the 2006 European heatwave saw temperature records broken in several countries, including the UK and Ireland, while 1000 deaths were attributed to this event in the Netherlands alone. 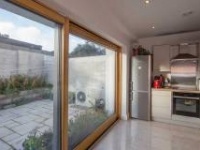 However thermal mass is not a panacea, and cannot simply be added in to ’compensate’ for gains from extensive glazing. As Alan Clarke warns, there is a limit to the amount of heat that can be purged from thermal mass via ventilation. He says: “The thermal capacity of air is not that high, and the thermal inertia of materials restricts the rate at which heat can be lost. Susie Diamond agrees: “The commonest problem with overheating is where dwellings get a lot hotter than outside during the day, and are not able to cool down overnight. “If a building is sealed up all day when people are out and the temperature rises to 40C, so long as it cools down within say 20 minutes of people returning home and opening all the windows, that’s probably OK. But if it doesn’t cool down quickly, that’s not all right. 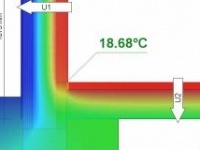 Perhaps the most common design problem in buildings that overheat is excess glazing, especially to the south and west. In a non-passive house building this may just be because the client or architect likes huge windows, or perhaps believes that they signify luxury. However in a passive house, extensive south glazing may be there specifically to capture passive solar gains in winter. And there is no doubt that a lot of glazing means a lot of gains – which will then have to be removed if overheating occurs. According to passive house consultant Nick Grant, it may even be that with very large windows, the effect of shading may be reduced in summer by convection currents circulating between the sunlit and shaded portions of the unit, heating the inside surface of the window. Furthermore, as Warm warn on their blog, shading calculations are very tricky. “We think it’s actually impossible to get the shading 100% ‘right’ in PHPP,” they say. This is especially the case with user operated shading, as it is impossible to be certain if or how it will be used. To prevent overheating, Rob McLeod of the BRE has a suggestion for passive house designers. Aiming to minimise the spacing heating demand over the whole season, working to the 15kWh/m2/yr target in PHPP, can tempt designers to maximise solar gain. But this clearly also carries risk of overheating when conditions are warmer (as well as increasing the risk of losses when conditions are coldest). McLeod suggests designers work instead to the alternative certification target of a peak heat load of 10 W/m2. This focuses more on insulation and reducing heat loss, since the peak heat load will occur at a time of very little solar gain. So in this case windows can be become a net loss, and a much more modestly glazed design results, which reduces the risk of overheating. A building designed in this way may have the additional benefit of being cheaper, and being less vulnerable to last minute issues with super expensive high-performance glazing. SAP and PHPP both divide the UK into a number of climate zones to give average levels of temperature, wind and solar radiation. For Ireland, PHPP contains two climate data sets. But architect John Morehead has examined ultra-local climate data for different parts of the country and has found that when these specific values are entered into PHPP, annual heat demand and heat load can vary by as much as 45% for geographical areas — even on an island as small as Ireland. This makes a significant difference both to optimising the design for warmth in winter, but also when guarding against overheating in summer. “For example, using the local data has allowed [us] to ease the U-values depending where the building is situated — here in Cork our winters are much milder than in the centre and east of the country, but the summers are cloudier. This means we can use more south glazing without so much worry about either losses or overheating,” he says. There is still one big assumption that all designers are making though. However careful their calculations on building performance might be, they are assuming that what they have designed is what will be built. This does not always happen. For example, the PHPP calculations for a development of semi-detached passive houses in Scotland determined that there would be just 0.2% overheating, ie three quarters of one day per year above 25C. A number of issues with the construction were identified. One particular source of unwanted internal gains was uninsulated pipework that ran behind the upstairs walls, connecting the solar thermal panels to the main heat store. Also, the project did have quite a complicated specification for the building services which included a wood stove for space heating and winter hot water as well as solar thermal. Awareness of overheating is definitely increasing. So what practical steps are being taken to tackle the issue at source? 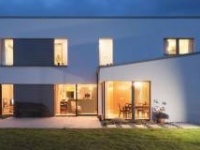 If campaigners succeed in bringing in passive house as the mandatory building standard in Dún Laoghaire-Rathdown and Dublin City, then a much more detailed overheating analysis will be carried out for all new buildings there. However for Ireland as a whole, and the UK, statutory action seems unlikely. But as Susie Diamond explains, industry itself has reasons to want to change things. “Housebuilders themselves are taking a positive interest in this, as they are starting to feel at risk,” she says. According to the Hub’s report, even winter temperatures in these apartments exceeded 27C. “During this time, the housebuilder experienced negative media coverage and customer dissatisfaction.” They ended up spending around £100,000 on remedial work. “If there was an agreed protocol for predicting overheating, then builders could argue that they had followed this protocol and therefore they were not at fault,” Diamond says. Meanwhile, the passive house community itself is not standing still either. 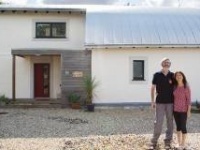 Members of the Passivhaus Trust have charged its technical working group with investigating overheating in passive house builds. Certifier and Passivhaus Trust associate director Kym Mead reports that the trust is likely to recommend that designers aim for no overheating, but that 0 to 2.5% of the year above 25C could be considered very good practice; 2.5 to 5% good practice and 5 to 10% merely a backstop result. “The general opinion is that the [PHPP] criteria set at 10% hours over 25C are too high,” he says. After all, in the end good building is about far more than certification, it is about comfort, about health, and about satisfied occupants. at Eurosun 2014, 16-19 September 2014, Aix-les-bains, France. One way to gain more confidence about the accuracy of your overheating results (or indeed, about any aspect of your passive house design) is to run a stress test, where plausible extreme conditions are entered into the relevant sheet, to see if the results are a catastrophic failure of performance – or merely make the building slightly less comfortable. • assume half the achievable night time ventilation (and be careful about assuming internal doors are open). Stress tests might also roughly test the possible impact of prolonged heatwaves by running the overheating analysis with climate data corresponding to a warmer area – for example, using the London data with its warmer summer nights, when designing a building outside the city. It is also possible to get hold of projected climate data to run a ‘future' stress test. Stress tests might be a useful way to compare alternative fenestration designs, for example.